Whale watching in West Cork is some of the best in the World, especially at this time of year, writes Daniel Lettice. 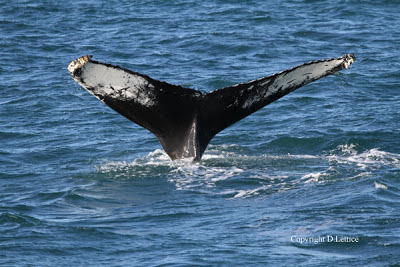 Humpback whales, fin whales, minke whales, common dolphin and harbour porpoise all in the one day. Whalewatching in some far flung destination? 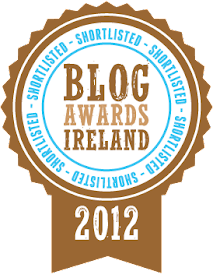 No, whalewatching off the South west coast of Ireland. Over the last two weeks the whalewatching off the West Cork coast has been world class. When it's good here it’s great and to see five species all in the one day is something you would do very well to equal anywhere else in the world. The stars of the show this time around have been the humpback whales. 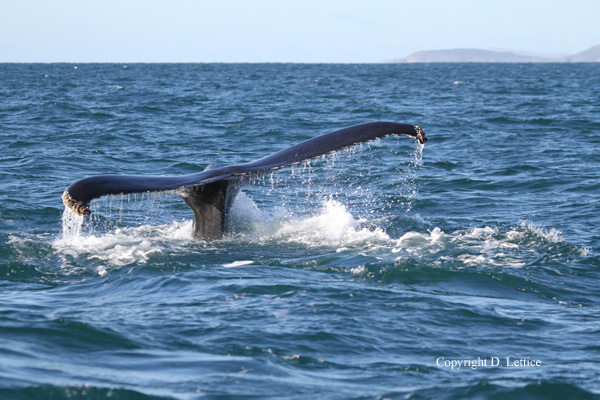 This iconic species are regular visitors to Irish waters but with a minimum of 5 humpbacks in West Cork waters at the moment whalewatchers are certainly being treated to a pre Christmas gift. 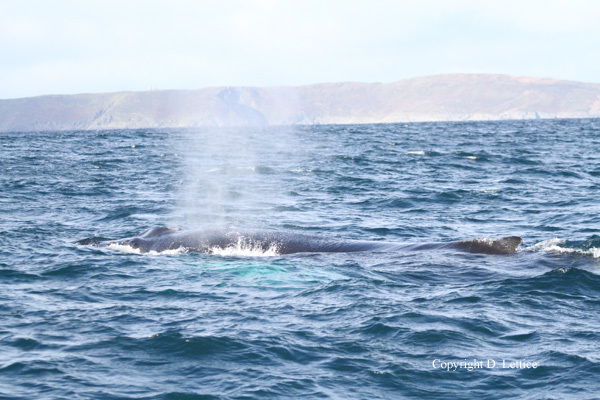 Last Wednesday, as part of an Irish Whale and Dolphin Group (IWDG) photo ID trip we photographed two humpbacks and a further two were photographed nearby. On another trip yesterday we again photographed two of these animals, this time in difficult conditions. 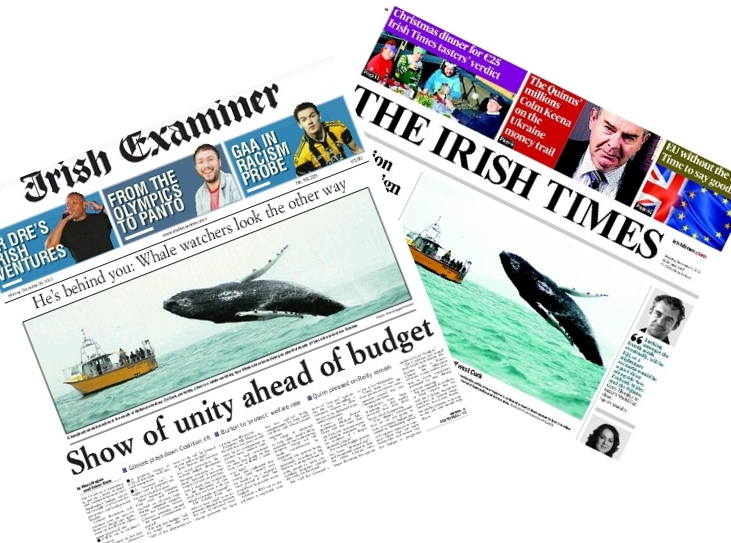 All four animals were ‘known’ whales already recorded on the IWDG Irish humpback whale catalogue, which now has a total of 21 unique animals, the newest recorded off West Cork in the last two weeks. The famous Boomerang, who keeps coming back, has also been photographed in the area. 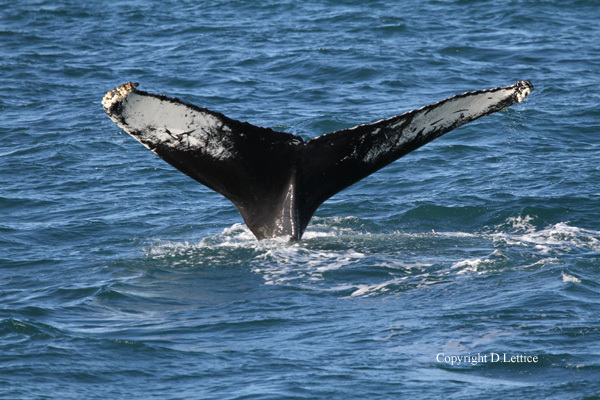 Humpbacks are identified by their unique tail fluke patterns and they certainly provided ample opportunity this last two weeks for identification by putting on some fantastic tail fluking shows. Throw in some pectoral fin slapping and bubble net feeding and it all adds up to an amazing show. Not to be outdone, the Fin whales who are the second largest animals ever to have lived on the planet also gave us a great show. 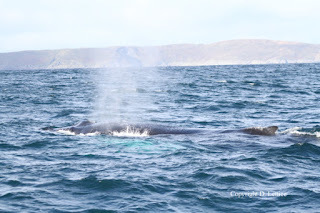 There are numerous Fin whales in the area, some feeding in association with the humpbacks and some on their own. Lunge feeding is common amongst the fin whales at this time of the year. The whales line up a bait ball and engulfs it at that surface with their huge mouths open and throats distended, a sight to behold. At times this week the Common Dolphins seemed to have been showing off around the boat in an attempt to distract our attention from their larger cousins but they’ve had to take a back seat for a little while. Fleeting glimpses of Minke whales and the shy Harbour Porpoises have added to the magic of an amazing couple of weeks.